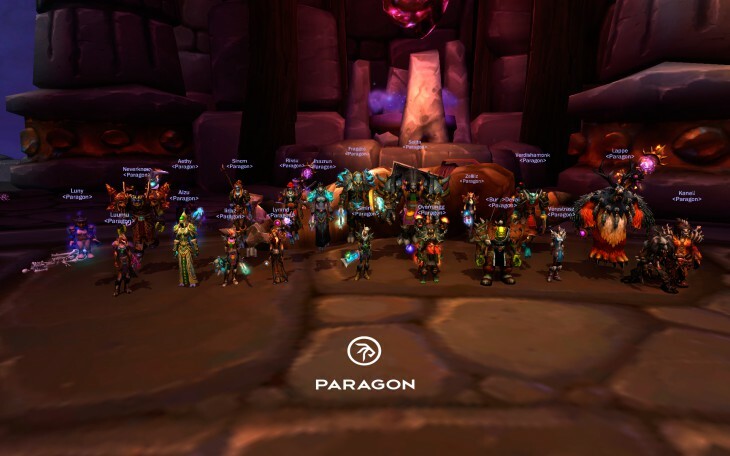 Highmaul progress is now over for us - Imperator Mar'gok fell on December 13th and we finished up the raid with killing The Butcher a bit before midnight Finnish time. Thanks to the people who helped us gear in 30man heroics: Aishera, Arx, Baltha, Carwe, Cipaku, Courtinia, Daewyn, Dhoryd, Djenga, Ely, Faelia, Lockyon, Lounas, Lutkukka, Manni, Markymark, Mursu, Nacosta, Nikzy, Paradar, Pasi, Pelzz, Pulshu, Rihma, Roope, Scyler, Sterkku, Tasydan, Tombolo, Turhis, Utiz, Wyviku, xenophics, Zaeg, Zelys, Zohtaren. And a special thanks to the best farmer eu: Wantmilk. congratulations, looking forward to watching the videos! Many congratulations to all of you guys! I knew you're still the best! good job. For a moment, seeing that you were stuck at butcher, I suspected some massive disease or connection problems, I couldn't believe that it was a real problem for you while other lesser guilds were doing it. Then the real possibility came to my mind: "They're trying the Imperator already", so I started waiting for the announcement. There is a reason you're #1, this one is very well deserved and I believe that some jaws dropped really hard! CONGRATS!